As much as we’d like to feed our families homemade, nutritious, wholesome food every day for breakfast, lunch, and dinner, it doesn’t always work out. We get busy with work, school, activities, events, and life in general. I learned a long time ago that frozen food can be a mom’s best friend when energy levels are depleted but there are hungry mouths to feed. But, that can sometimes mean sacrificing health and flavor for convenience. 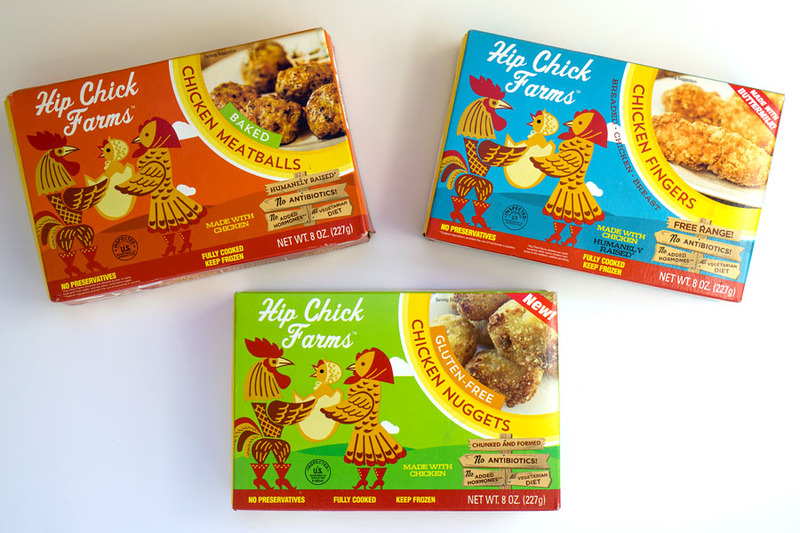 During my search for quick but healthy frozen food options, I discovered products from a company called Hip Chick Farms. 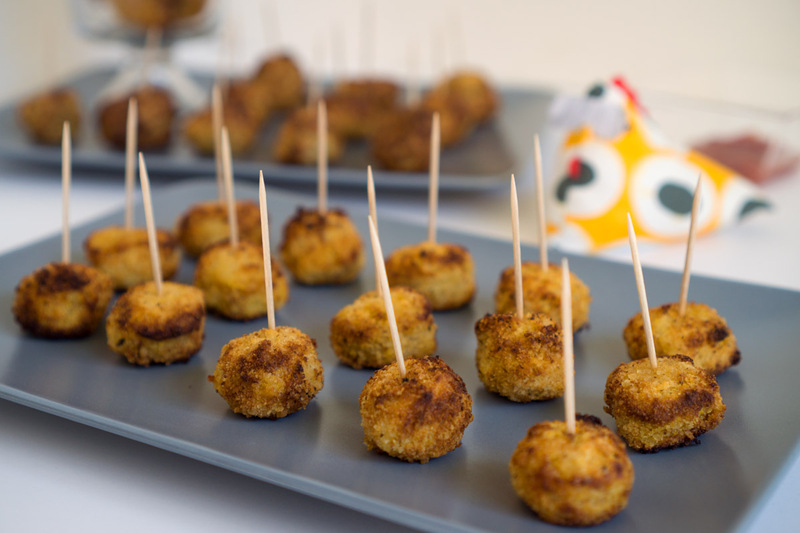 Hip Chick Farms is based here in California and was founded by two moms, one being a professional chef. 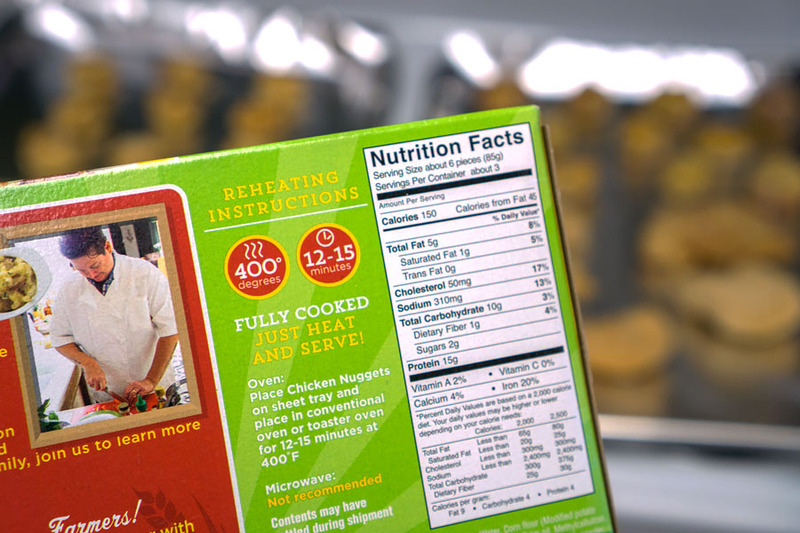 The company offers frozen poultry items that are organic, non-GMO, and free of fillers. That means no pink slime (unedible bits of meat which are separated, washed with ammonia, then added back in). Since they only use real ingredients and skip the junk, you can feel good about feeding these products to your family. They even have gluten-free varieties! Of course, none of that matters if the healthy frozen food doesn’t taste good. So, I picked up a few boxes to try out. I was pretty glad to see that both the regular and the gluten-free products required the same temperature and cooking time. 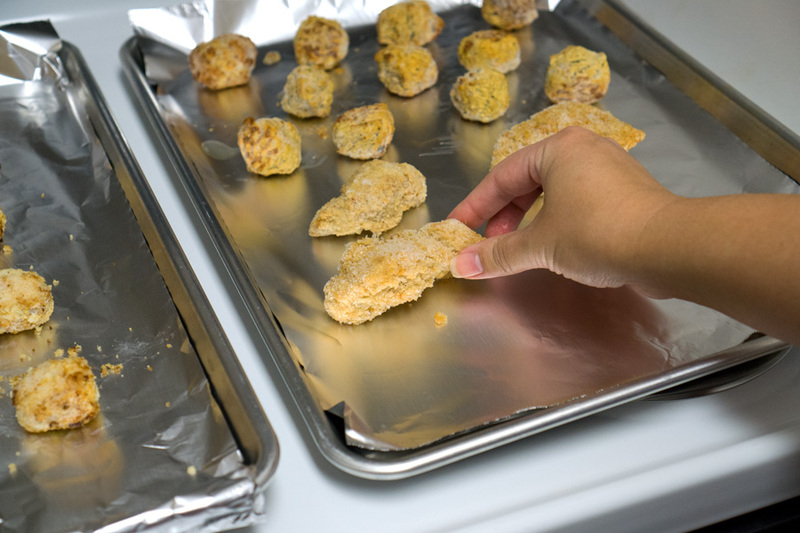 It only takes 12-15 minutes in the oven to heat. So, after you pop the food in, it’s pretty much done by the time you round up the kids, clean everyone up, and finally sit down to eat. My family thought everything was pretty good. The breading was crunchy and the meat didn’t have that fake, spongey texture some other nuggets, strips, and meatballs have. Plus, the items were seasoned nicely. 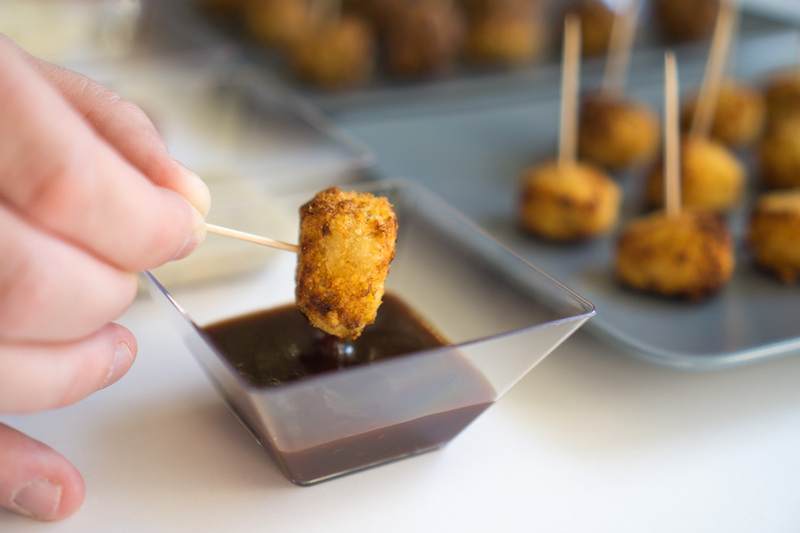 We actually liked the gluten free nuggets the best but the chicken fingers came up a close second. I think the meatballs would be better with pasta and sauce. When you don’t have time or energy to cook from scratch, it’s great to have a healthy, no-guilt option to fall back on. 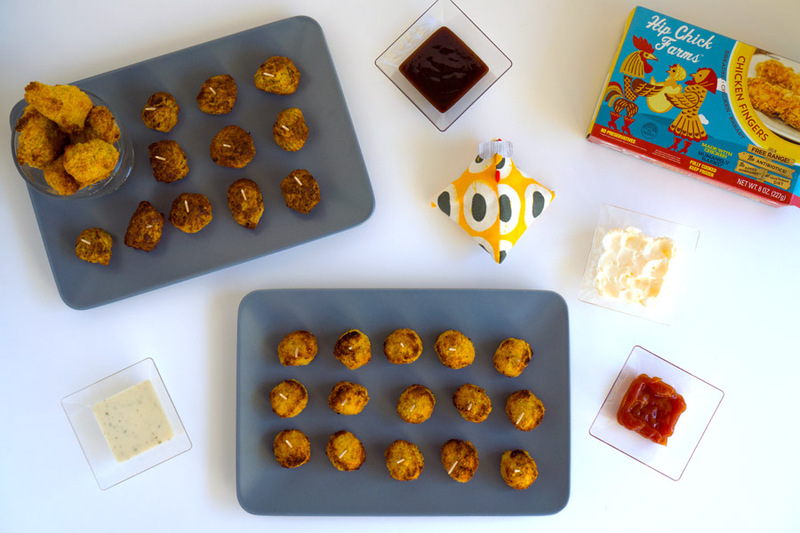 Hip Chick Farms products are quick and easy to prepare but are still tasty for even the pickiest of eaters. You can use them as a snack or as a compliment to your next meal. 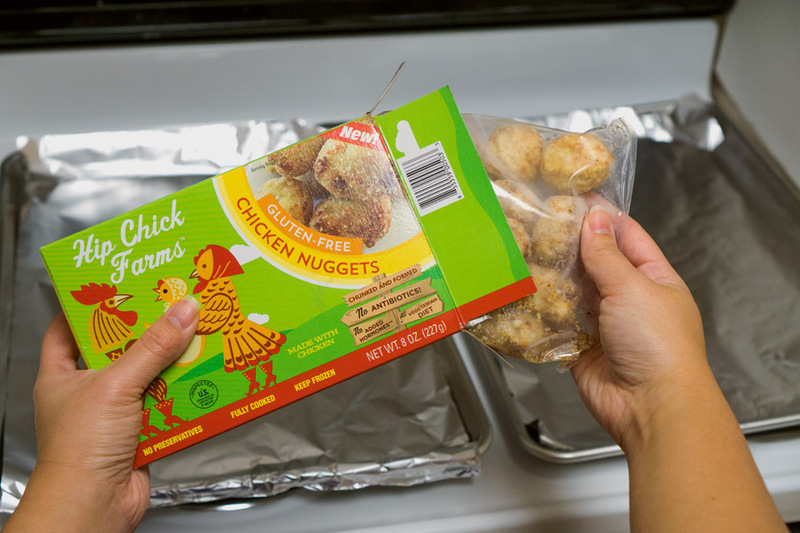 Either way, these are great frozen food items to stock your freezer with just in case. 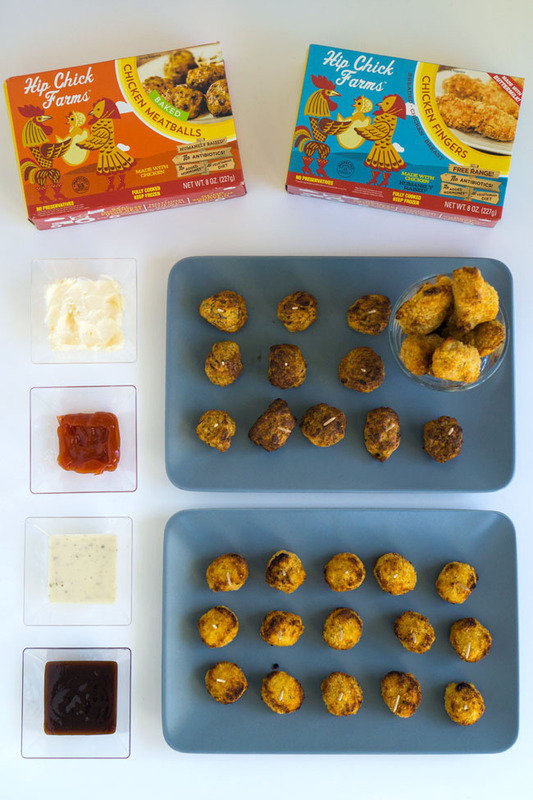 As a bonus, thanks to Hip Chick Farms, one of you will win a special prize pack that includes coupons to try the products yourself. Enter below! This is a partnered post and product was provided for review purposes. All opinions are my own. I am very concerned about Pink Slime!! We are very picky about our food and the additives. I am very picky about foods, thank you so much for the offer. I love your blog! I definitely do not want pink slime in our foods. That sounds just disgusting. I learn something new everyday. pink slime? you must be talking about my mother-in-laws cooking! LoL! I am very concerned and definitely don’t want it in my food! I remember hearing about it a few years back, but it has been absent from the news lately. At the time it did not look like something I would want to eat, but I have not really given it much thought since then. I guess I just assumed the issue had been resolved. I never heard of this and I am very concerned about pink slime. I am extremely concerned about pink slime! Ewwww! I don’t like the idea of pink slime at all, I have seen the video and its very gross. I am very concerned about it! Yuck! Not one bit. If you don’t feed your family anything processed, you have no worries. I am concerned and try to always feed my family healthy. Thank you! I’m not thrilled at all about additives in our foods! Disgusting! Constantly looking for new ways to eat fresh and safe! I am very concerned about the food quality and pink slime in food. Pink slime is nasty and I do not want that for my family. Ewwww! No pink slime for my family! We only do organic and non gmo food at our house because I’m extremely picky about what goes in our body. I don’t want any pink slime in my food! I’m very concerned. I watched a documentary and it is so disgusting! I don’t even know what pink slime is….but, I know I am not inviting ANYTHING into my food. Believe me, I am overly concerned about my food…..I make my OWN. I know what ingredients are in there….I know when it was prepared. Interested in knowing more about this product and where to purchase it. Thank you for the giveaway. I’ve never seen pink slime in my families food, but would be uber concerned had I ever seen that. I’ve never heard about it until now! I’d have to research more. Pink slime in the food would be disgusting. We need to get back to the all natural food that used to be grown and raised. It’s sad that the good for you food is so much more expensive. I’m very concerned about pink slime in my food. I don’t want my kids or myself eating that kind of junk. I am definitely concerned. If I knew there was pink slime I definitely wouldn’t purchase that product. I had never heard of pink slime before but now after reading about what it is I’m definitely concerned. I am definitely concerned about pink slime in my children’s food. I’m even more concerned because generally that slime or other products used by the same companies also have antibiotics in their food and I think the over use of antibiotics in our food is appalling! We check the ingredients on a lot of our food to make sure the pink slime is not in it, especially ice cream. I am very concerned and always check the ingredients list on foods I buy. Giving my kids a healthy beginning and lifestyle is one of the greatest gifts I can give them. I really hope there is no pink slime in the foods we eat. I’m honestly not super concerned. It was in most ground beef until a few years ago and I can’t say it ever injured us any. I’m not grossed out by potentially eating “icky” parts; if I’m OK eating muscle, it seems weird to get all squicky about maybe eating some lung or whatever. I didn’t know now about it until today, but now that I have I’m officially super concerned! Its hard to go into a grocery store and trust the meat department anymore. I just never know which products (that fit my budget) will be best. I go to Sprouts who has great prices on grass fed and organic meats. Hope no slime involved. I am very concerned about pink slime in my families food. I think it is awful! I am very concerned, I find it disgusting! That name is even awful. I am so picky about what I buy. I am concerned about pink slime in anyone’s food. I do not want pink slime in our foods, yuck. Yuck. I hope we aren’t eating any pink slime. No pink slime in the food we eat we only buy foods that dont have it. So glad to read about this brand my son has Celiacs and a heart transplant and type 1 Diabetes so eating healthy is important these sound great will buy some at Whole foods this week to try the GF. Ew to pink slime! I don’t understand why they allowed it again. My goal is as natural and organic of food as possible and within my tight budget. I love how organic and natural is becoming more popular. Thank goodness! Ok, I have to say I just ate dinner and then read “Pink Slime” and it really grossed me out. We try to cook most things fresh from home to avoid as many additives and unnecessary ingredients as possible to avoid this. Pink slime! Gross! It would be nice to have a variety of healthy easy to use foods. Slime in my food is not okay. Quality food makes for quality health. Pink slime is gross and needs to be outlawed. Not okay. Should be illegal. Pink slime grosses me out to the point I will buy chicken breasts and grind them using the KitchenAid attachement rather than buy any ground poultry products. Eew, don’t get me started on pink slime. It is nasty! We don’t eat anything made with “pink slime”. I am very careful about what we buy and what we cook. I do not like to eat the pink slime. I’m very concerned! My body doesn’t like any additives!! Very concerned. Clean food required!! i am very concerned. i believe most of the disease in our society comes from bad food and water and I am trying to make sure my kids and family aren’t exposed any more than we have to be. I am very concerned…not only about pink slime, but additives in general. Pink slime is disgusting! Yuck! 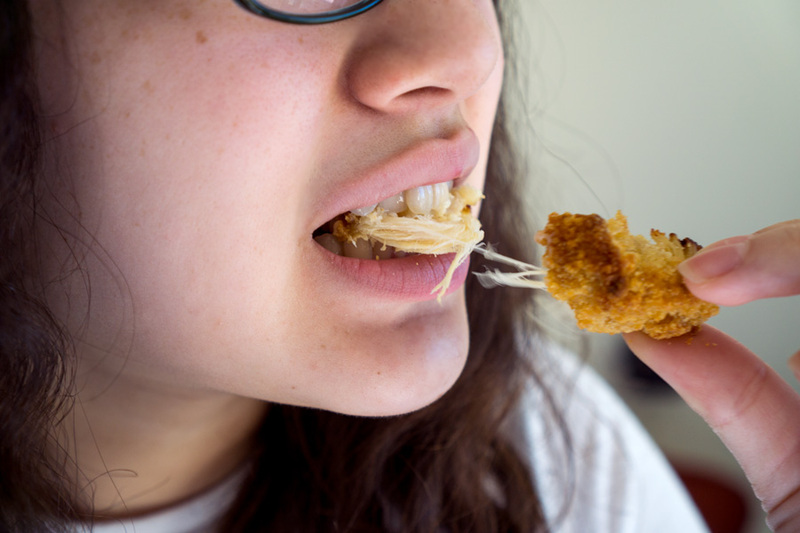 Just the thought of something called ‘pink slime’ sounds gross to be in food. Of course, I am concerned and turned off by the thought of it. I’m very concerned and careful about what my family eats. I think it’s gross and am very concerned. We are concerned about pink slime and what it does. I am very worried about pink slime. I wouldn’t feed anything to my family that looked like pink slime! We don’t eat a lot of frozen foods – one of the reasons I guess. I try to provide healthy food to my family so I’ll pass on pink slime or other things. I am very concerned about pink slime in my family’s food, grossss!!! I’m concerned enough to make most of my food from scratch. We are very concerned about healthy eating in this house. Pink slime is not allowed. I am very picky about what my 4 yr old Grandson eats at Nannies house. I think it is disturbing and disgusting that pink slime would even be considered as a ingredient in our food! On the one hand ‘very’ because – ick! – on the other hand ‘not so much’ because we really never eat anything that could possibly have it as an ingredient. As we become more aware of the effects caused by additives, we’re trying to avoid them as much as possible. It’s terrifying…..We try to avoid chemicals and additives. It is so gross to think companies use something like that!!! What I find gross is that I know I have eaten the pink slime and I would never ever feed that to my grandchildren. Grosssssss! I really try not to eat things that would include pink slime, so I am not concerned about it directly affecting me. I am concerned that it is allowed to be in foods sold in this country. If I saw my food with pink slime in it, it would be in the trash. That is definitely a bad sign if you get food that has any slime in it! I don’t really think about pink slime? I go organic whenever I can, though. I am concerned and do not want pink slime in our food! Just the thought of having pink slime in my food turns my stomach! I am very concerned about pink slime in our food. We always try to eat all natural food without any additives. I am very concerned about pink slime in my family’s food. I’m glad people was made aware of what was going on so changes could be made. I think we all need to know what we are eating. It is very concerning. That is why I try not to eat much frozen or processed food. I am very concerned by this! It is disturbing what is in our foods these days !! Sooo gross!!!! Makes it hard to eat meat anymore!! I’m incredibly concerned about pink slime! We aren’t much of meat eaters, its scary what is considered food!